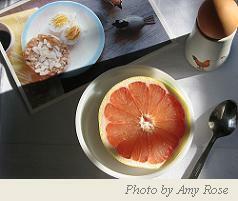 The egg and grapefruit diet menu should be followed precisely as it says. Drink plenty of water or other allowed liquids, approx 2 litres or 64 fl oz a day, that's approx. 8 glasses of water. You should eat until you are full at every meal. Alcohol, milk, butter, oils or fat are not permitted. 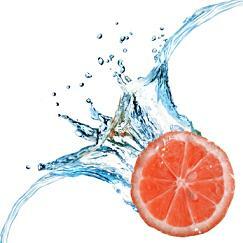 You can drink: water, green tea, herbal tea, grapefruit juice, decaffeinated black coffee. Salad made of lettuce, cucumber, celery and tomatoes. WARNING: Drinking or eating grapefruit may interact badly if you are taking any form of medication. Seek advice from your doctor/physician prior to starting this diet. Breakfast: 1 slice of whole meal toast and 1 poached egg. Lunch: fruit salad made of apples, oranges and strawberries (as much as you like). Dinner: 5 oz. grilled turkey breast, salad, 1 grapefruit. Breakfast: 1 grapefruit, 1 hard boiled or poached egg. Lunch: 1 grilled chicken breast without skin and tomatoes. Dinner: sea bass fish baked, mixed leaf salad. Breakfast: 1/2 cup of cottage cheese, 1 grapefruit. Lunch: omelette made of 2 eggs, red onion and tomato. (Use an oil sprayer to cook the omelette). Breakfast: 1 poached egg, 1 slice of ham, 1 cup of steamed spinach, 1 slice of whole meal toast. Lunch: vegetable soup made of celery, cabbage, onion, garlic and vegetable stock (any amount). Dinner: tuna salad made of 1/2 can of tuna in brine, 1 hard boiled egg, lettuce and onion, 1 grapefruit. Breakfast: 2 poached eggs, 1 grilled tomato. Lunch: chicken salad sandwich (chicken breast, mixed leaf salad on brown bread). Dinner: baked haddock with steamed vegetables. Breakfast: 1 poached or boiled egg. Lunch: 1 whole meal toast, 1 small can (200g or 7 oz.) of baked beans in tomato sauce. Dinner: 2 x 3 oz. grilled lean beef burgers and salad. Breakfast: 1 poached egg and steamed spinach. Lunch: seafood omelette made of 2 eggs, 5 prawns, onions and a sprinkle of chilli pepper (use an oil sprayer to cook the omelette). Dinner: 2 grilled lamb chops and salad, 1 graperuit. 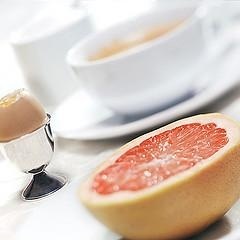 The egg and grapefruit diet menu should be followed for 12 days and can help you to lose 5-10 pounds. The weight loss will be due to losing water weight and muscle rather then fat and you are likely to put weight back on again once you come back to your usual menu. This diet is suitable if you need to slim, for an upcoming event, but to get a long lasting effect look for a life style changing balanced diet plan on our website.